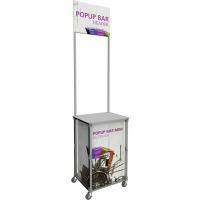 Create excitement and movement at your events with Trade Show Display Kiosks and Monitor Kiosks that support your multi-media presentations! 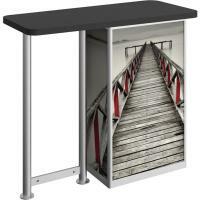 High tech Orbus Linear Monitor and Display Kiosks and Rotolift / EZlift Lift Monitor Cases meet your needs and are sturdy, easy to assemble, and pack away simply for easy in transport. 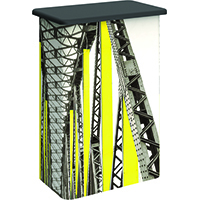 All Monitor Kiosk and Display kiosk kits come with various options to allow 1 or 2 monitors, signage, counter tops, literature displays, graphics, and include the mounting brackets that fit your equipment. 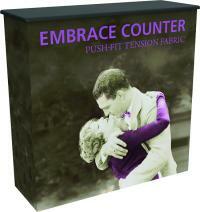 And shipping cases are included! 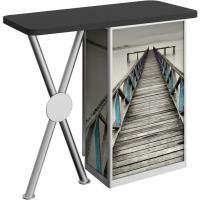 The Orbus Tusk-Leg Linear Large Rectangular Display Table offers great design, style, and versatility in any display! 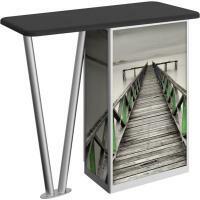 The Orbus V-Leg Linear Large Rectangular Display Table offers great design, style, and versatility in any display! 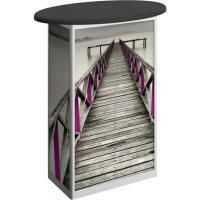 The Orbus Linear Large Rectangular Display Table offers great design, style, and versatility in any display! 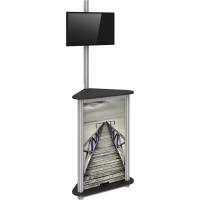 Orbus Linear Large Monitor Kiosk Kit 01 will support monitors up to 50 pounds and provide a stunning multi-media presentation! 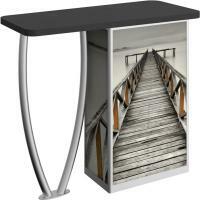 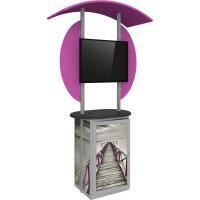 This Sturdy Monitor Kiosk doubles as a workstation as well as a video presentation! 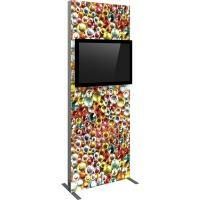 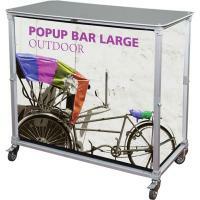 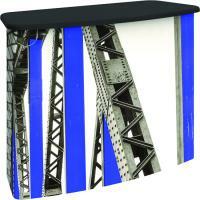 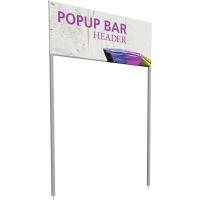 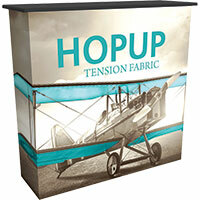 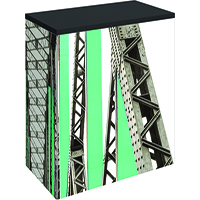 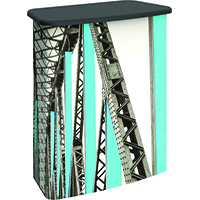 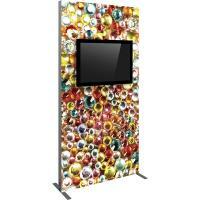 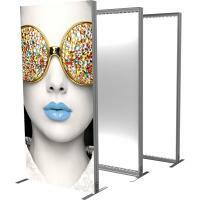 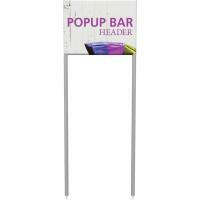 Customized with graphic or plexi infills, this display component provides both versatility and functionality! 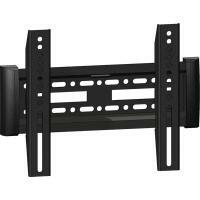 These fully adjustable Monitor Brackets will support your LCD monitor for effective visual presentations!